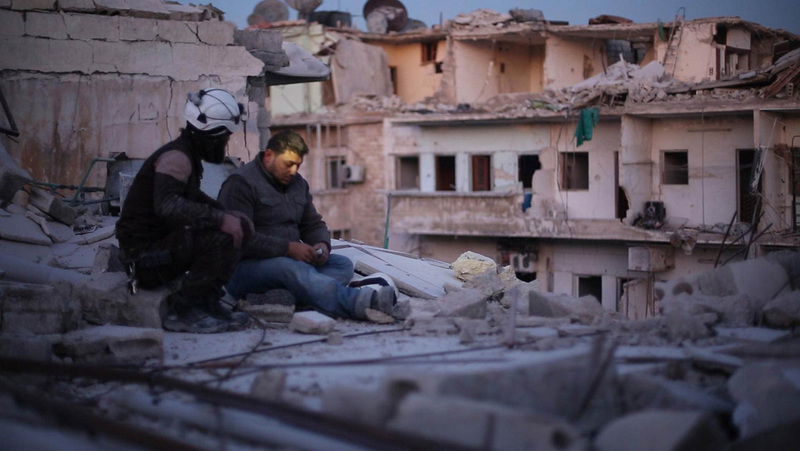 Academy Award nominated documentary Last Men in Aleppo; its director, Feras Fayyad and the protagonists in the film, The White Helmets, are under a sustained and withering online disinformation attack from a legion of Russian, pro-Russian and pro-Assad trolls. This smear campaign, similar to one waged against the Oscar-winning The White Helmets in 2017, labels Fayyad a terrorist sympathizer, a spy, a liar and much worse. In addition, The Guardian's Olivia Solon, who recently reported on the campaign, is now a target herself. We also received word today that the U.S. has denied the visa for one of the film's Oscar-nominated producers, Kareem Abeed, a Syrian national, under Section 212(f) of the Immigration and Nationality Act, a provision used by President Trump as the basis for his "travel ban." We urge the State Department and the Trump Administration to reconsider this decision and grant Abeed a visa. Feras Fayyad is in the U.S. and plans to attend the Academy Awards ceremony. We at the International Documentary Association stand behind Fayyad and Abeed. They are exemplary artists who have introduced us, at great risk to themselves, to a corps of ordinary people—construction workers, cab drivers, teachers—who have gone to extraordinary lengths to save their friends, neighbors and family members from the daily carnage. "We are just making art," Fayyad told us over the phone from San Francisco. "We're telling stories about brotherhood and friendship and people who want to survive against the war machine. We’re telling the truth." Artists throughout history are often the first casualties in their missions to challenge us to be bolder and better. They are more than deserving of our gratitude and support. We strongly support Feras Fayyad, Kareem Abeed and their team's right of creative expression.